The producer and the assistant try to dig out the truth from the kids but he fails. Kulfi Kumar Bajewala is one of the highest TRP rating TV serial. The show airs on Star Plus. Kulfi Kumar Bajewala is at a high turning point. The serial is best for those who love drama and entertainment. Kulfi Kumar Bajewala ranked under top 10 highest viewers. The serial get so many daily followers who follow daily update in a very short time period. 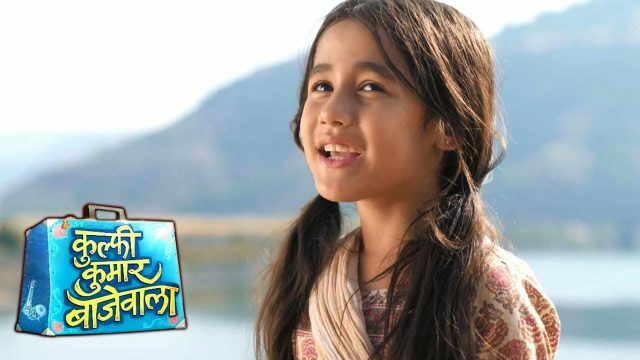 Kulfi Kumar Bajewala 4th April 2019 written episode update begins with kids gave an audition. Today’s episode gave so much drama to there viewers. Kulfi and her gang manage to impress with their singing. They make the plan to achieve their target. Kulfi and the reman kids, who are wearing masks on there faces, are asked to relax and one of the girls from the organizing team makes them sit at the audition. After this, a person comes inside and asks them to take their auditions. The producers get very angry and said in a loud voice from her assistant to get the kids at the earliest to the auditions. The organisers begin asking so many questions from the kids and they all gave adverse answers, after listening to the answers they all get too much anger. The producer tells her assistant that all kids are not telling the truth, they all are lying and she wants to expose them all. After getting the order from the producer and the assistant tries to dig out the truth from the kids but he fails. When producers knew the name of the group they also get shocked. The name of their group was ‘Benaam’. The producers told her assistant to stop asking that much questions from the kids and bring them all for auditions as these kids are likely to get them good TRPs. After knowing this that the kids are very talented, the lady calls the kids and tells them that they can enjoy the food before going for the audition.